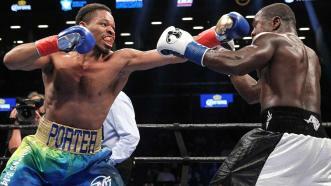 Shawn Porter gained a ninth-round TKO of Andre Berto in a hard-fought 147-pound title eliminator between former world champions. 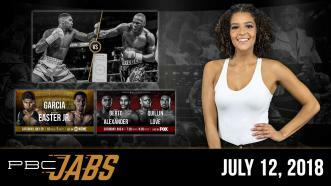 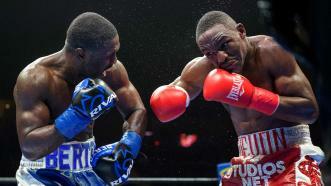 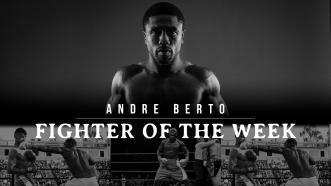 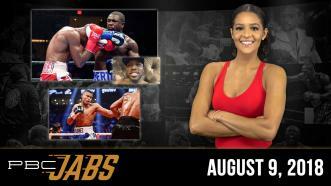 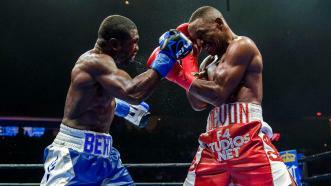 Fighter Of The Week: Former Welterweight World Champion Andre Berto returns to the ring August 4, 2018 when he faces former two-division titleholder Devon Alexander in a battle for 147-pound relevancy at Nassau Coliseum in Uniondale, New York. 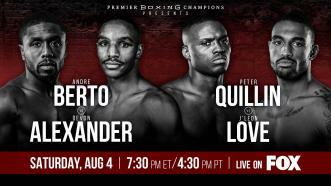 Watch the bout live on FOX and FOX Deportes at 7:30 p.m. ET/4:30 p.m. PT.